Home > PREMIER LEAGUE > After the equal of City and Liverpool .. How to exploit the friends of Salah February to tighten the grip on the league? After the equal of City and Liverpool .. How to exploit the friends of Salah February to tighten the grip on the league? Manchester City and Liverpool each have 62 points, while the advantage of the difference in favor of Sky Blues, the Reds have a less game in which they can take the lead if they can win or draw. But away from Liverpool's advantage in the game, he will play. How can Mohammed Salah's friends rule the lead further in February? In principle, although Liverpool's exit from the UEFA Cup and Carabao Cups is a negative event in the current season, it also has a positive impact during the current phase of the season for both the league and the Champions League, fewer games, Larger. Manchester City will have to play a mid-week match permanently throughout the month, playing in the FA Cup against Newport Conte, and then the Carabao Cup final against Chelsea, which forced him to play Everton in the middle of the week, early on. 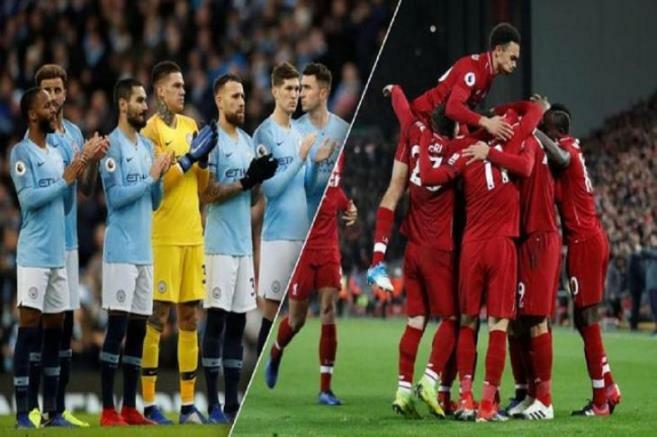 Man City has a date with six matches in just 20 days, while Liverpool plays only four games in 22 days, giving the team a preference for the well-being of its players, correcting errors and preparing for each confrontation well. Manchester City will face Chelsea twice this month, both in the league and the Carabao Cup, and will face Schalke on the 20th of this month before returning to play against Blues in the second encounter. In return, Liverpool will play their first Champions League match against Bayern Munich before playing against Manchester United at Old Trafford. In general, the return of Liverpool to the top of the league may be settled without looking at the results of Manchester City on the 24th of this month if the Reds managed to beat Bournemouth and then repeated their victory over Manchester United as they did in the first round.